Lamanda Ballard is Changing the Conversation. Period. Lamanda Ballard is helping women reclaim their power, running a successful non-profit, and making sure she has time to watch the sunset. "Our chapter in Austin grew so fast in such a short period of time that we realized it was hard to be a part of an organization that may not be able to manage us in the same capacity as they manage their own chapter." As you can imagine, starting a non-profit takes time, dedication and patience. “The Homeless Period Project was a great opportunity for me to learn the basis of what it takes to run a nonprofit” Lamanda said when talking about her start. Wanting to be of service to the Austin community in a multitude of ways, Lamanda had big plans she knew she would not be able to fulfill just by being a part of something else. 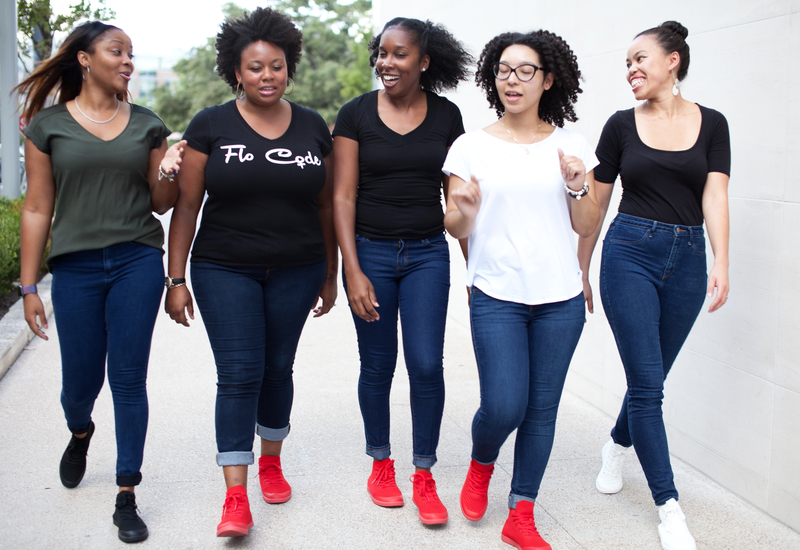 “Our chapter in Austin grew so fast in such a short period of time that we realized it was hard to be a part of an org that may not be able to manage us in the same capacity as they manage their own chapter… Flo Code wasn’t our way of starting over, but rather a chance to become sisters with other organizations who share similar missions.” Today, Flo Code has donated over 150,000 products within the Austin community. Flo Code has also aided disaster relief victims affected by Hurricane Harvey and Hurricane Maria. "I make it a point to set boundaries in all aspects of my life so that I may enjoy my downtime even if it's limited." Check out Flo Code's website and follow them on Instagram to learn about donating and volunteering opportunities. SUAVS will be donating $15 of every Red Legacy purchase to Flo Code.